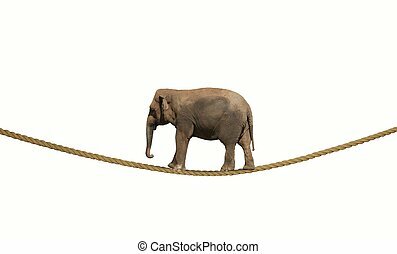 Elephant on a rope. 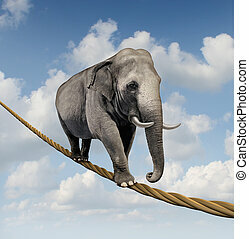 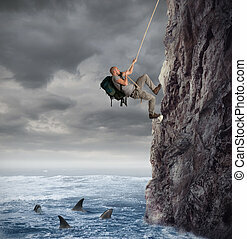 Concept of difficulty in business with elephant on a rope. 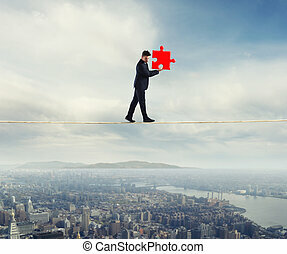 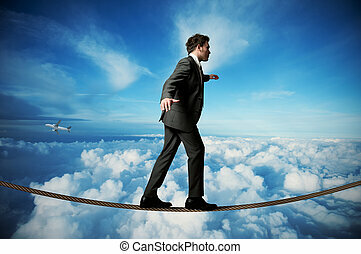 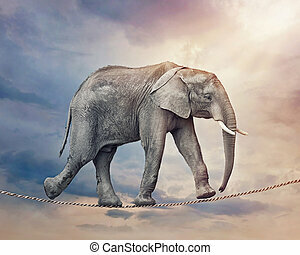 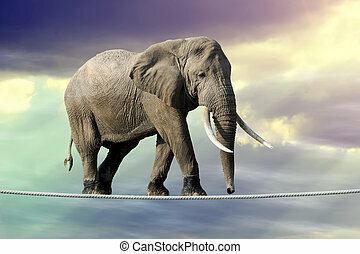 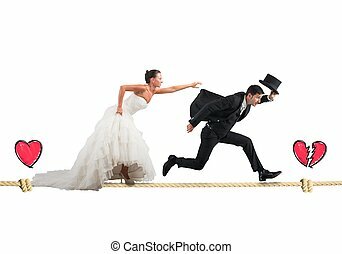 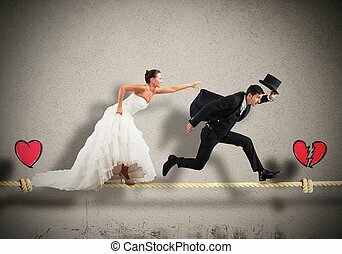 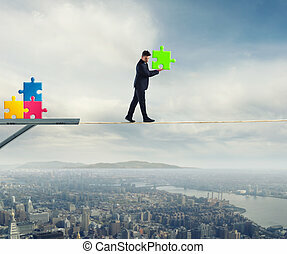 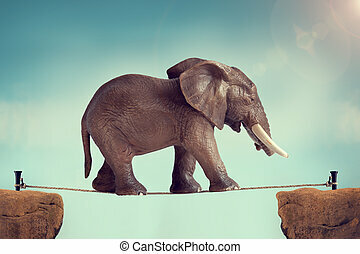 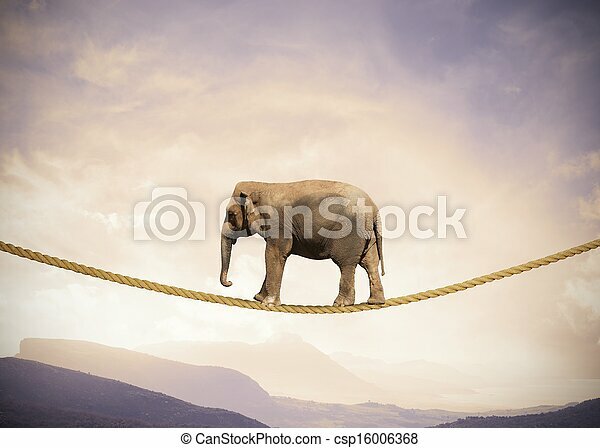 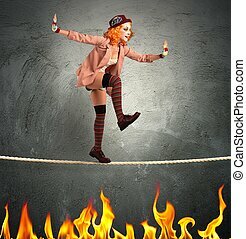 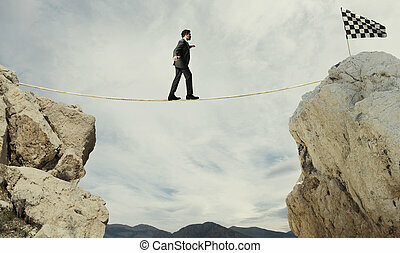 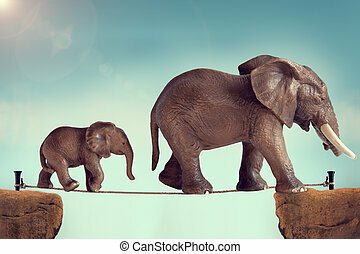 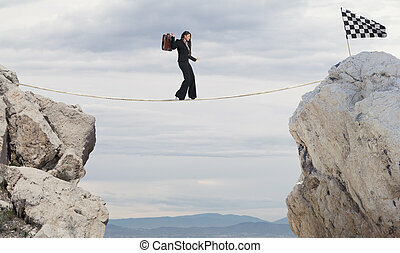 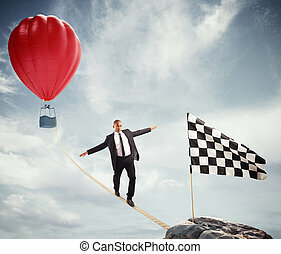 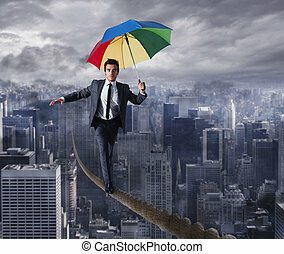 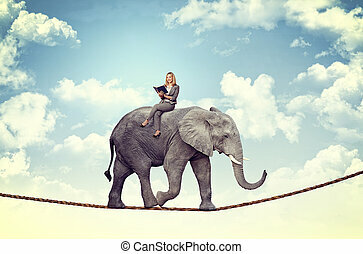 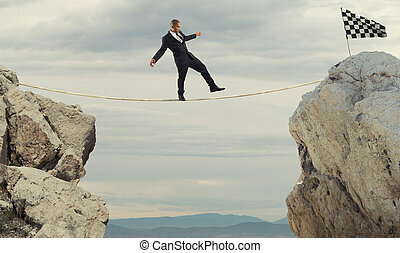 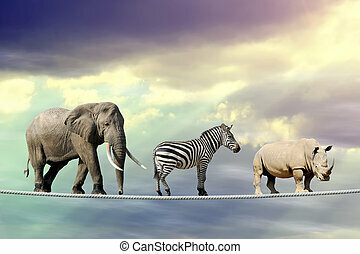 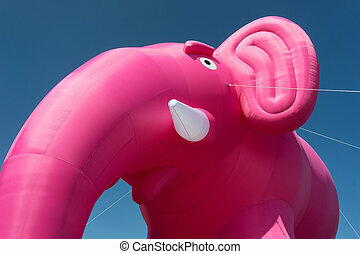 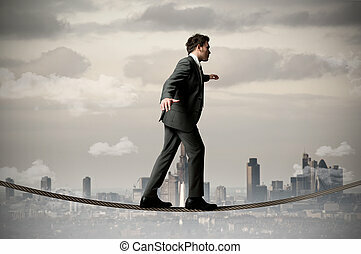 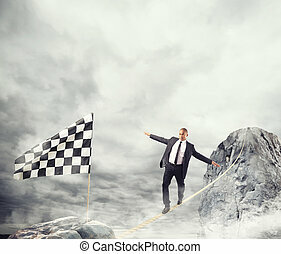 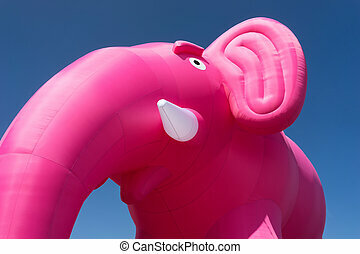 Managing risk and big business challenges and uncertainty with a large elephant walking on a dangerous rope high in the sky as a symbol of balance and overcoming fear for goal success.